Lithium Battery MPPT Solar Charge Controller Tracer-BP Series - KF Solar Tech Group Corp. 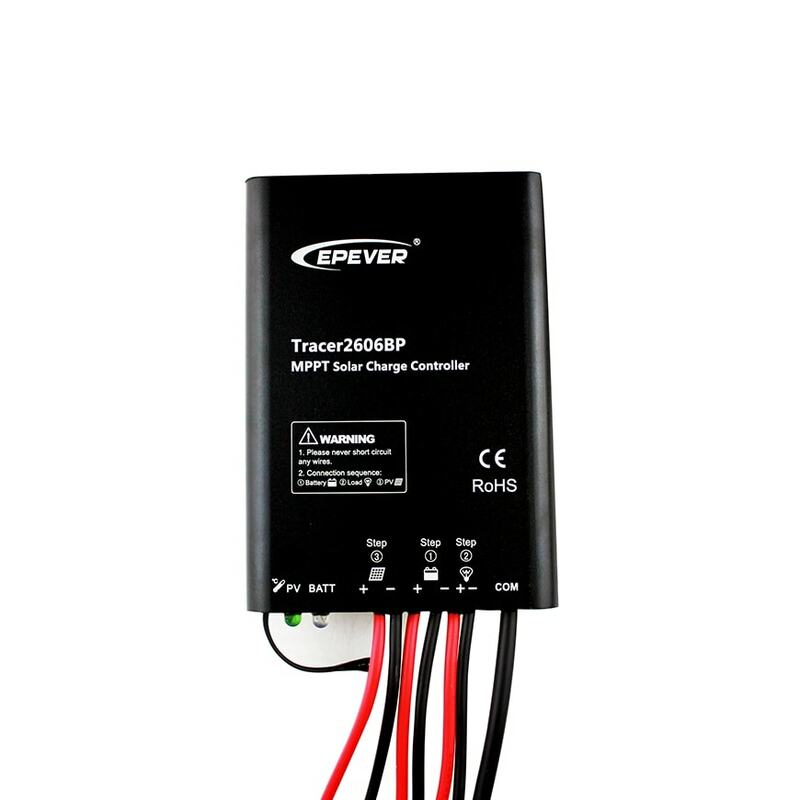 The Tracer BP series solar charge controller adopt to the advanced Maximum Power Point Tracking charging methods, it enables the system charging and discharging management to obtain the most radical optimization. Increase the system flexibility, yet lower down the system cost. The controller support a variety of battery, for example sealed, gel, flooded and lithium battery. User can view and modify the working status and parameters. It can be widely used on solar home system, traffic signal, solar street light, solar garden lamp, etc. Monitoring and setting parameter via Mobile APP, PC Monitor setting software with RS485 communication interface.